The time spent with the USA crew leading into Worlds is some of my favorite moments of the year. This past week was an awesome block of time. We had amazing early fall weather, and the scenery and roads we trained through were jaw dropping and stunning. After a few relaxed days in paradise, it was time to get down to business, and we knew Sunday would be a massive day with colossal attrition. The Boels Dolman women’s team was gracious enough to donate their bus to the Team USA efforts for the past week. 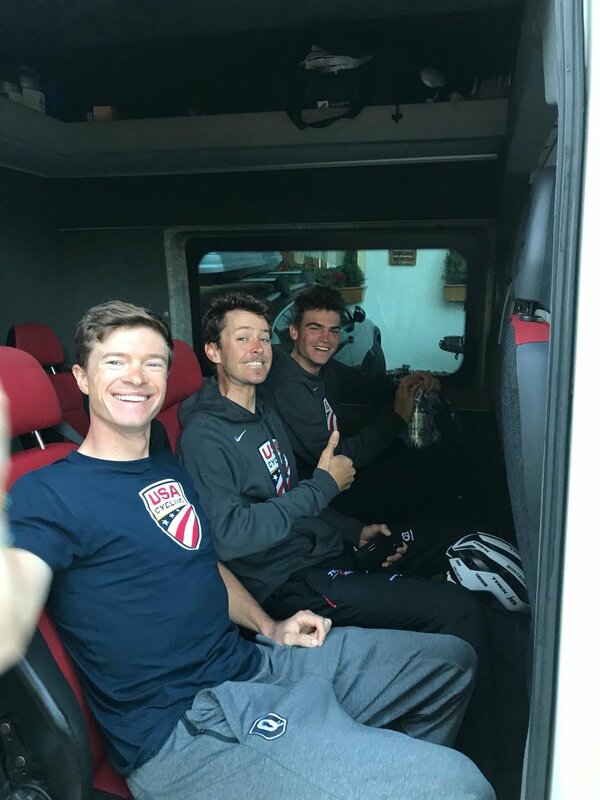 Joining us in that bus and sharing a team car also were the Canadians. This is just another example of the great vibe at a World Championship—competitors in the same bus enjoying time together. The conversations swirled around, “Who’s wearing a base layer? Who’s the team to watch today? How many gels do you take with you?” It was all the usual pre-race squawk but with a unique combination of guys. And one of those rare moments where it was all in English! 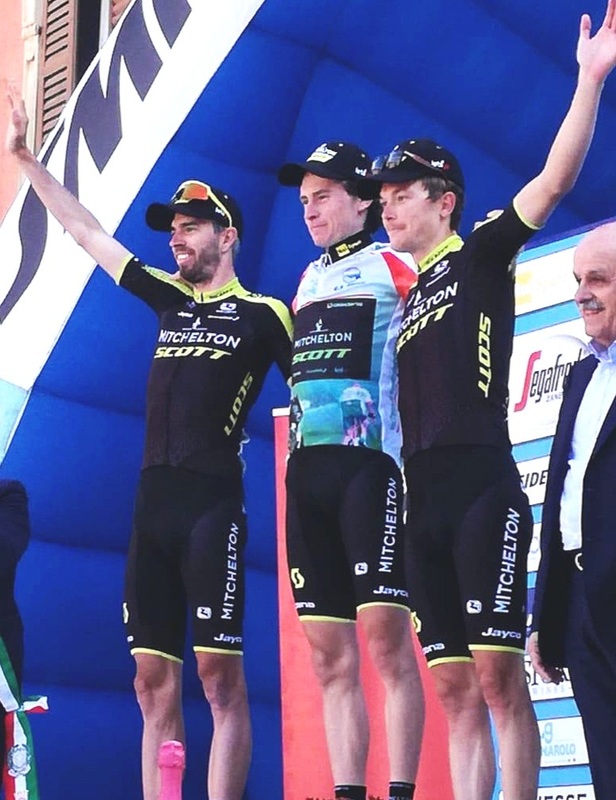 We knew we had a serious seven-hour slugfest ahead of us but still, the start line energy was high and position fighting in the neutral was passive aggressive as we headed into the 85-kilometer stretch from Kufstein to Innsbruck. It took a while for the break to go, and we had Ben up there sniffing out the moves. He made numerous solid attempts but unfortunately never found the right combination. 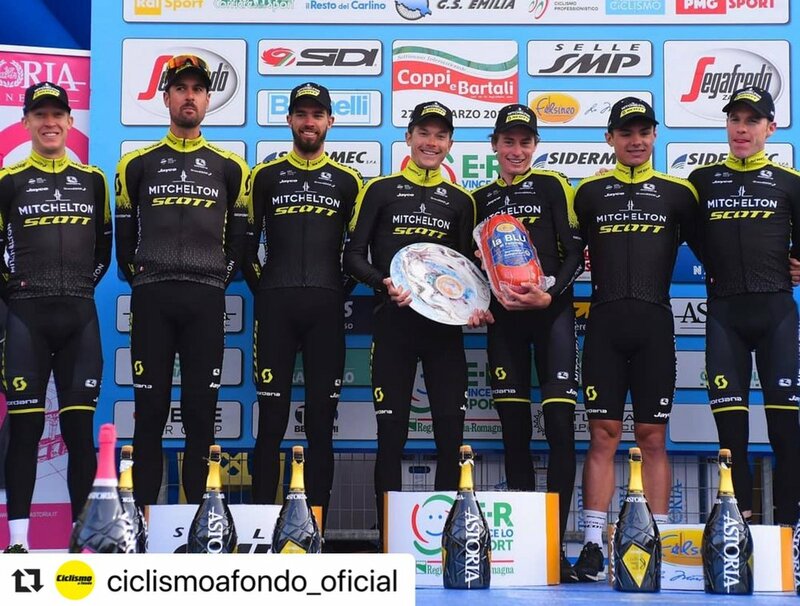 After his Vuelta exploits, I think teams who were controlling the beginning were very wary of letting him go, which was probably a smart move on their part! The national team dynamic was clearly evident with no team wanting to commit too much too soon. The break’s gap quickly ballooned out to 20 minutes. I knew there was still plenty of time to bring them back but started to realize this meant the race would be hard fought for the remaining 200 km because there wouldn’t be time to ramp it up gradually. Instead, we would be pegged the entire time. Sprinting out of the corners felt like we were on the final lap even when we still had 100 km to go and mountains on mountains to climb. The course was hugely physical with so much accumulated climbing. While the circuit formed the meat of the racing, the stretch leading to it was very demanding with plenty of climbing and technical aspects. It equaled the hardest mountains stages of any race I’ve ridden, but what made it even more challenging was the “steel cage match” nature of the technical city circuit between the climb/descent. There was never a moment to roll along, take a breath, eat a bar and absolutely impossible pee! Like all Worlds, the feed zones were a cluster and proved decisive for many riders. Taking a bottle or musette means taking a risk, losing position and spending the next lap trying to regain it. Quite the snafu when the race is seven hours. One missed bottle or a short window where you miss taking in some energy can quickly lead to your race unraveling. Personally, I did okay overall but definitely could have been better at this aspect. The crowds in and around Innsbruck were insane. The main climb had an incredible multinational atmosphere that is only found at the World Championships. As we hammered up the climb lap after lap, I tried to occasionally snap out of the race fog and be fully aware and appreciate the fantastic environment. Each time I was quickly brought back to the reality of suffering and relentless position fighting. Towards the end, I was feeling ok but not super. I knew it would be a tall order to keep myself in the mix until the final lap. I used all my experience from past Worlds and focused on spending as little energy as possible while staying in “good enough” position. My aim was to avoid falling out from the back of the pack. I definitely lost some energy being too far back through the city and got whipped around. As we got deeper into the race, there were more and more crashes, which is always a clear sign guys are on their limit. I knew the race would soon explode. I was hoping I would find myself still in play toward the later moments. I’ve learned after 200 km it’s not really about feeling strong but about staying alive, so I kept telling myself one more lap, one more lap. That chance began to evaporate on the penultimate lap when attacks flew over the top of the climb and some splits in the bunch edged me off the back. I poured it all on to regain contact. Once on the descent, I was no match for the guys up front doing their final “pull and peel” efforts, and I was resigned to chasing with a few others. I wanted to finish but was also pretty cooked. We pushed to make it to the bell lap in time so we could continue and then it was survival mode. My legs were cramping, and it took everything I had to crawl up the main climb on the final lap. I linked up with my BMC teammates Nico and Damiano who were also completely on empty. Misery always loves company and we decided we would try to haul ourselves up the final “hell climb.” I’ve never been so unsure of my abilities to physically stay on my bike and ride up a climb. Even with a 36-30 gear, I was extremely over geared and found myself paper boying (zigzagging) back and forth up the narrow wall. Despite being minutes behind the leaders, the crowds were still amazing and clearly respected our efforts to push on. In the end, it wasn’t the result that we believed we were capable of, but I can confidently say we did our absolute best with what we had. I am proud to have fought to the finish on such an epic edition of Worlds. 2018 is winding down but not done yet. My next race is the Tour of Turkey and then finally back home for the Binge! Images: ©BrentBookwalter & Chris Auld. 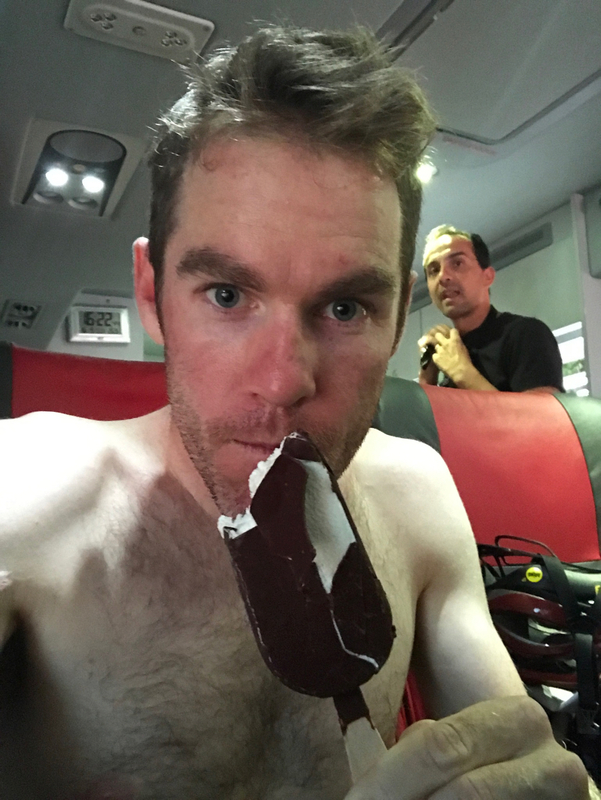 First one—ice cream bar on the bus pre-Stage 21. Second one-crossing the finish line of my ninth Grand Tour. Third one—enjoying a beer on the bus after Stage 21. Every Grand Tour I’ve raced felt like its own complete season or maybe even a lifetime’s worth of bike racing packed into one race. 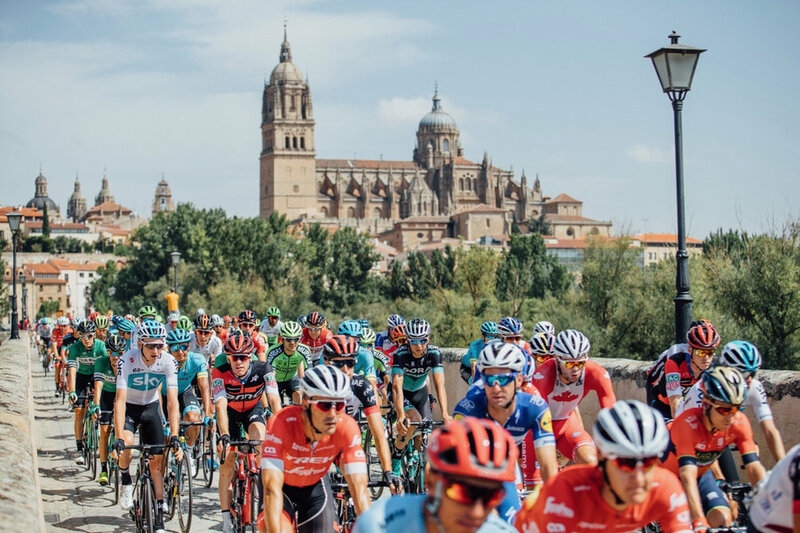 This year’s Vuelta was my ninth Grand Tour, and once again, it was an all-consuming few weeks of racing with the sport’s best. It tested me both mentally and physically. It feels great to be through it, and I’m proud to say I’ve finished every single Grand Tour that I’ve ever started. There is no easy way through three weeks of racing at this level and almost a full month on the road. You are surrounded by the sport and contained within a traveling circus. 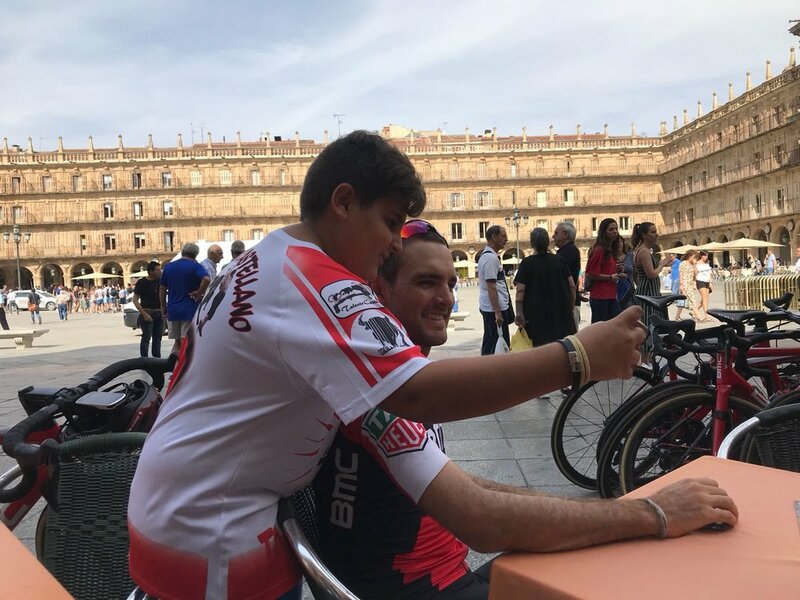 What I enjoyed the most about this Vuelta was the relatively laidback environment. It definitely felt different from my other Grand Tour experiences, which were 100 percent committed to the overall GC cause. This time, we had some freedom to race each day as we choose, but I can’t exactly say that made it any easier. Instead, it meant adjusting, which involved a new challenge for me. When riding for the GC, you approach every stage with an “all for one--one for all” mentality. There is never a lack of focus. Every kilometer of every day counts, and it squeezes every drop out of you and your teammates. It is mentally and physically exhausting, but it provides an anchor and purpose. 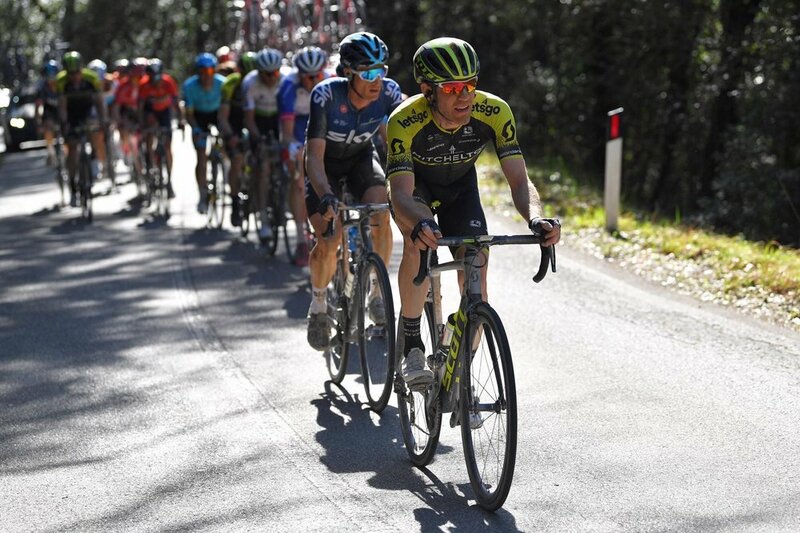 So this Vuelta, I had to replace that focus with the sense of opportunity and flexibility, and it took some recalibrating and relearning for how to approach each day. Even after 21 stages, it was still a work in progress. In other Grand Tours, I’ve looked at riders on teams who didn’t have a GC rider to protect and thought to myself, “Wow, that must be nice. If I were them, I would just sit at the back and wait for tomorrow because there is essentially nothing to lose.” This year, I learned my viewpoint wasn’t completely accurate. There is still suffering and danger; the race is still live and the battle is being waged. And I learned a new perspective of why every rider out there fights and remains in the mix. It isn’t all about protecting a result or a leader; it is about protecting yourself and keeping your head in the game. I learned that the best way for me to stay engaged was to push myself into the fight, stay in the moment and remain focused. That was my constant goal and objective. I also learned that highs and lows come together. Riding in the breakaway on Stage 5 was a perfect example of this. 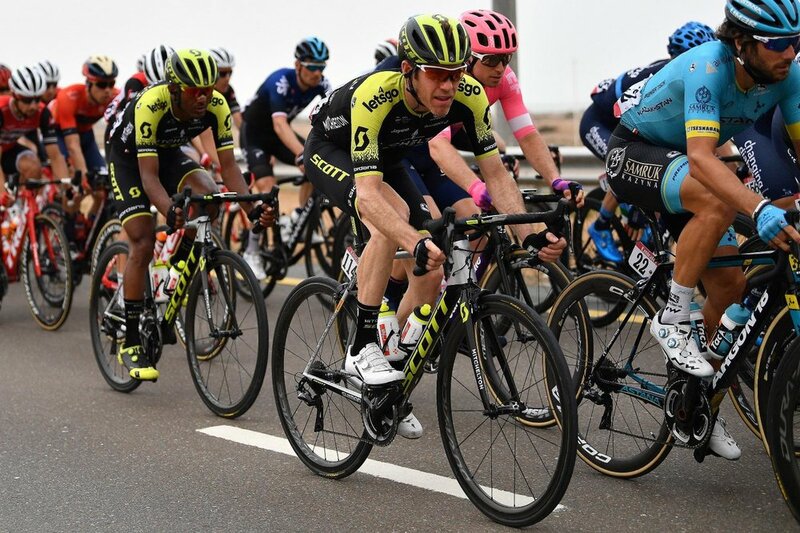 A savage start and almost two hours of attacking to get in the break, making it in there, feeling super strong, knowing it would likely go to the line to contest the win.... only to be followed by missing the crucial splits and missing out on an opportunity for a big result. The absolute highlight of my race was when Jamie arrived for the second rest day and stayed through the time trial and came back for the final stage in Andorra. 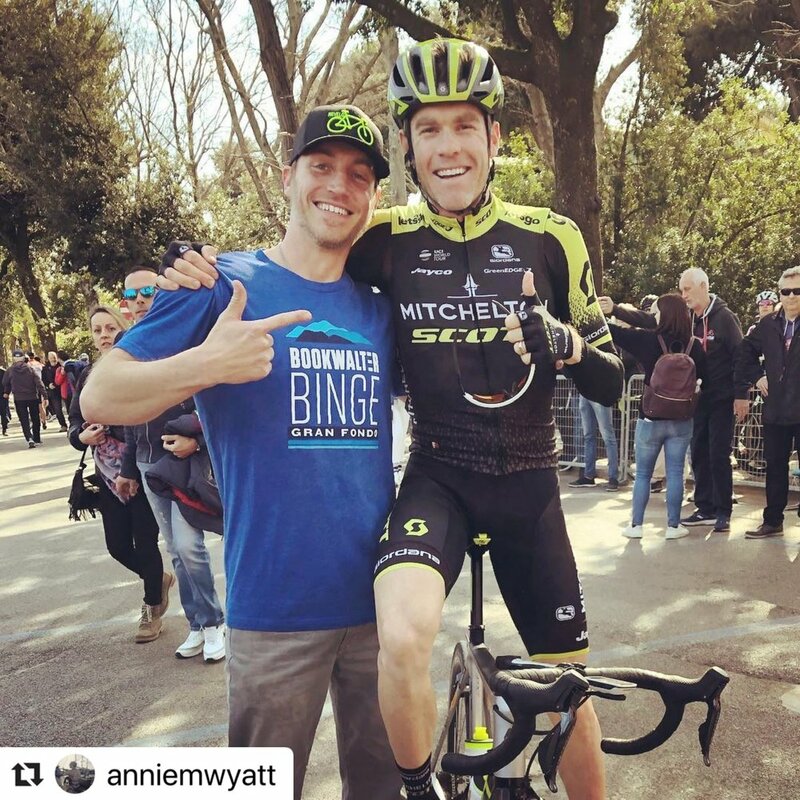 Preparing and getting through a Grand Tour involves such a tremendous amount of support from loved ones and those close to me. It felt incredibly special to share some of those moments during the race with her. I cherish those memories and will use them to empower me in the future. Now back to Girona for a few easy days and then over to Austria to race with Team USA at the World Championships! After a rest day and TT day, I’d hoped I’d feel a little livelier than I did today. There’s no denying it was Stage 17, and the body and mind are feeling it. Like just about every other stage, we had a tough seven-kilometer climb after the start that we knew would be decisive for the break. I was out of the fight before we even hit the bottom as we barreled through a sketchy city from kilometer 0 and played a high stakes game of chicken through tons of roundabouts and narrow sections. I worked my way up toward the front as we hit the climb, but the break had already formed, and we had Dylan and De Marchi up there once again. It was a classic Basque Country stage with lots of uncategorized climbing and urban sections. It never feels like we roll along but instead pinballing through cities and up and down mountains. The last climb was another Vuelta special with sections 20 percent and some insane fans. I rode up with local Basque hero Mikel Irizar and the cheering for him was incredible and deafening. The road was only visible when the fans parted the moment before we ran into them. Upfront, Dylan was locked into a tight battle for the stage win and narrowly got edged out by Mike Woods. 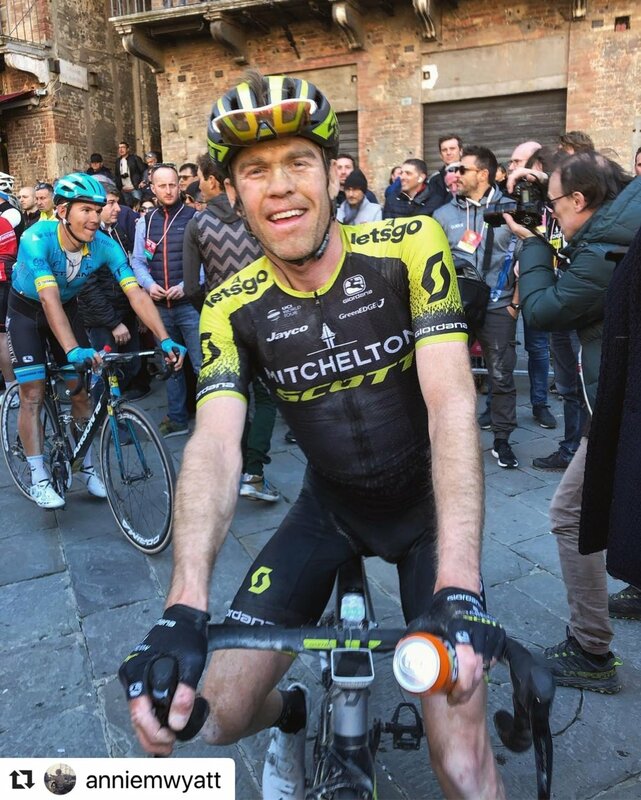 Dylan earned five top 5 stage finishes at this race — completely incredible persistence and consistency -- but of course he really wants that win. Again, the stage wasn’t over at the top of the climb, and we navigated another 25 minutes back to the bus as I nursed a flat front tire for the final few kilometers. We were still weaving through thousands of fans that were all in a hurry to get back to their cars. Somehow our 157-km stage turned into 180 km of riding over 5.5 hours. A few more hours in the car to wind down and get closer to Catalonia where in theory we should have a flatter day tomorrow. The second rest day at a Grand Tour feels like the arrival at an oasis after a long, bleak trek through the desert. Despite being situated literally in a gas station parking lot--don’t be jealous, the view out my windows is overlooking gas pumps—it was great to get through last week and especially the gnarly Stage 15. Jamie came in along with a few of my other teammate’s wives/ girlfriends and having some fresh outside enthusiasm immediately lifted the mood. For the rest day, it was business as usual with a team ride where we checked out the TT course, followed by massage, and then a physio check-up. My back has been tweaked the past few days, but thankfully we have some awesome support to put me back together each day. I’ve been debating how to approach the TT. I see potential opportunities in the next four road stages, so it may be wise to ratchet it back and take it as an “open back up” day as opposed to an all-out onslaught. On the other hand, having the freedom from not protecting a team GC position is also an opportunity to test us late in the race. Obviously, Rohan is guns blazing ready to go and has been targeting this stage since day 1. I think my roomie, Joey, will also do the USA skinsuit proud. For the rest of us, it will likely be a matter of feeling it out knowing that there is always an opportunity but also being aware of the demands that lie ahead in this final week and managing resources accordingly. It’s been a challenging mentally and for team dynamics riding a grand tour without any team GC ambitions. We have been half-joking that the new rule is either off the front or out the back, but there are some truths and practicality to this in how we effectively use our resources. 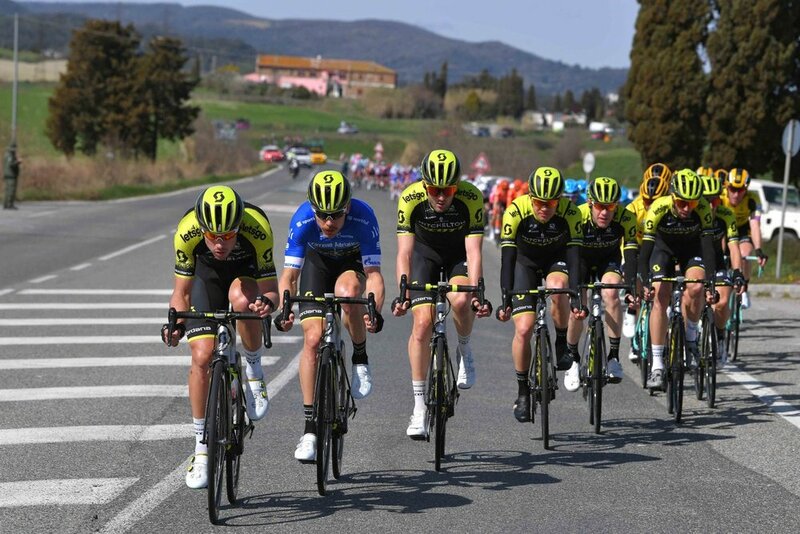 The past week, I’ve been trying every day to get “off the front.” Some teammates made it happen and found fortunate breakaway combinations and race scenarios that allowed them to go to the line. Despite all my attempts, it wasn’t until Stage 14 that I managed to get away. 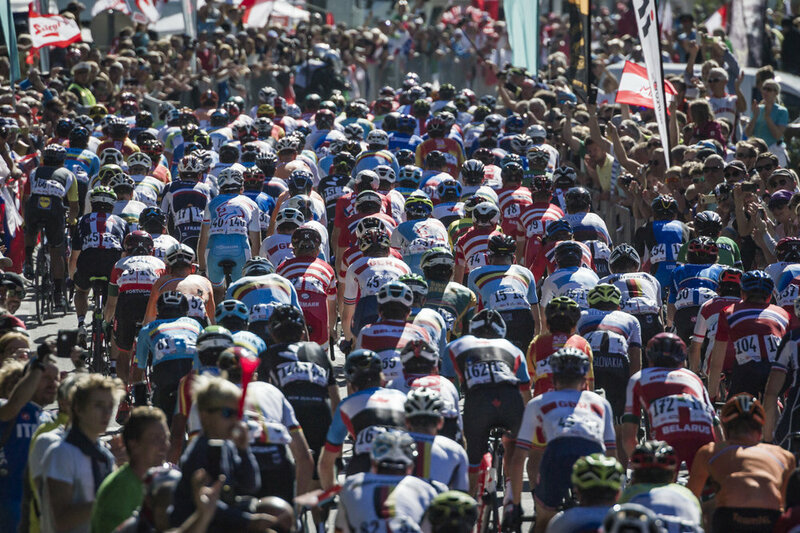 It was the usual tense neutral and fast start with a five-kilometer uncategorized climb. Despite being pushed to the back during the neutral, I snaked my way to the front just in time for the drop of the flag and immediately began going with attacks. With each one, my oxygen debt increased but I kept telling myself to commit over the top of the first climb. It was a deep effort but going over the top we noticed we had a small gap and immediately began rotating to speed up. I was happy to see my teammate Nico there but unhappy to see Kwiatkowski as he was only five minutes back on GC. 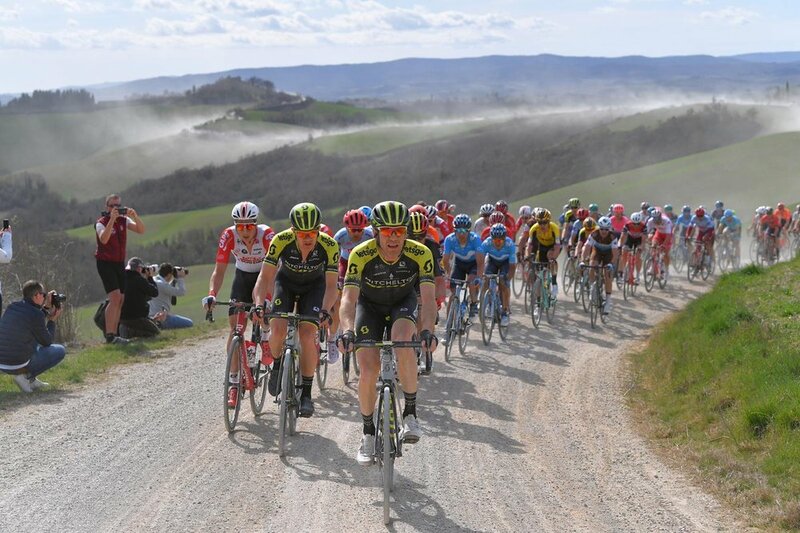 Despite having some serious horsepower including a former world champion and three Grand Tour top 10 finishers, it would be a long shot to stay away. We could hear our directors lacking optimism over the radio. 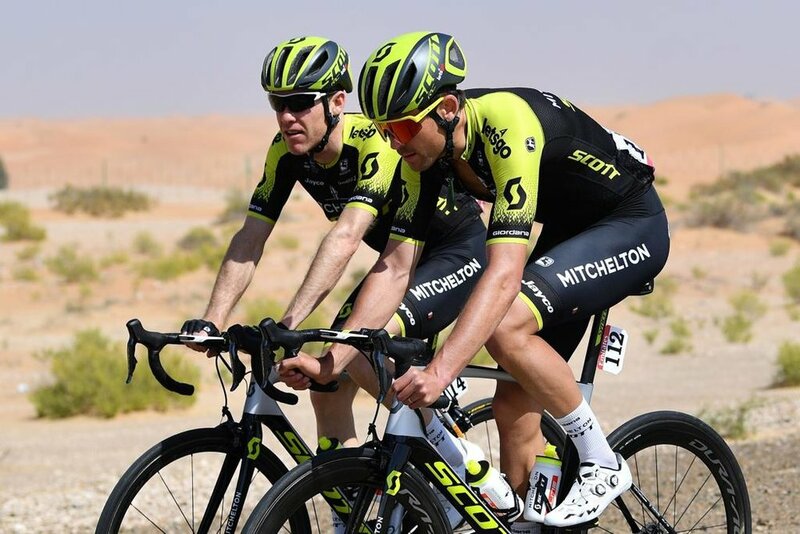 The first recommendation was to “attack Kwiatkowski on the climb and get rid of him.” Nico and I looked at each other thinking, “no chance of that.” So we began working together. It’s been mentally tough being in the peloton conserving energy while still suffering. The feeling of going for it was something I relished despite the heavy toll it took on my legs with each gnarly climb. So despite the low odds, it felt good to commit to the effort and enjoy some open road. Eventually, we got word that the GC group behind was blowing to pieces and going full gas. This was Kwiatkowski’s cue to pour on the pressure over a nasty Cat 1 climb. Nico and I both struggled to hang on but managed to stay in contact over the top. A few kilometers into the downhill and it was just us three. That road was nuts! One lane, decreasing radius corners, moss on the edges and grass growing in the cracks of the busted pavement. This one would claim a few victims between the breakaway and peloton. By the bottom of the descent, our lead had been slashed to a minute and dropping with Bahrain doing a full steam pull and peel. I came off on the next and penultimate climb, while Nico hung on with Kwiato. I was surprised to see the GC group so small when they caught me, but when I felt their pace I could see why. Part of my mind was saying sit up and save the rest for another day, but another part said to do my best to hang on over one more climb. It wasn’t a free ride, but I was happy to stay in the mix to the base of the final summit. Again, the motos were a little too close as this group barreled into the climb. Never directly in front but always rolling in and out of the zone where the chasing teams could get just a bit of draft. As we hit the base of the final climb, my legs exploded as guys sprinted to position their leaders, so Nico and I called it a day. We still had to grind our way up four km of an insanely steep, one lane goat path that required a minimum of threshold Pace in a 36-30 gear just to keep moving. Astonishingly, the front guys put 5 minutes into us in 5 km. The crowds out there were incredible and inspiring while riding past, but treacherous when going down. TV should consider including the “ride back to the bus” in their coverage; it’s another worthy viewing component on these stages. Riding down 15-20 percent, dragging the brakes and weaving through hoards of drunk fans was not exactly a relaxing cooldown! Today is another savage one, but we can see the glimmer of tomorrow’s rest day way, way off in the distance. “Hump day” at the Vuelta, but this race is anything but downhill from here. Stage 11 was the longest of the race and a brute with another 12,000 feet of climbing. We talk about luck with these breakaway moves all the time, and there is indeed some involved, but there’s clearly skill, courage, and power required, all of which Alessandro had in spades when he pulled off the win. I tried and tried and tried to put myself in that position with him but it didn’t happen. I was always in the front part of the group as it split and blew to pieces over a two-hour roller coaster of racing from the start. I was up there with Alessandro hunting for the right move, which I thought we had on numerous occasions only to have it all come back together. On multiple attempts I told myself “all in” and that I didn’t care what happened after that. We would get some separation with a few others only to fizzle out and be pulled back. By the time we hit a 10-km climb around 100 km in, I was feeling cooked and needed a minute to catch my breath. Desperation in the group was increasing as everyone knew the right move had to happen at any moment. Fortunately, we had three—Dylan, Nico, and Dema-- up there as they went over the top of the climb. It was a fight for the next 100 km due to some GC threats making it in the group. Now back in the pack, I was suffering, physically spent but even more mentally defeated by the failed attempts. But it was inspiring to hear over the radio how our guys were riding up front. As I rolled through the final 10 km trying to spin my blown legs out, I could hear Jackson screaming at Alessandro, and I realized he had done it. A quick celebratory toast for Dema’s win and my roomie Joey’s birthday made it a happy albeit late evening. Back at it today with more technically demanding roads and “undulating” terrain, which I’ll just go ahead and call mountains. Stage 10 was a good way to transition out of yesterday’s rest day. 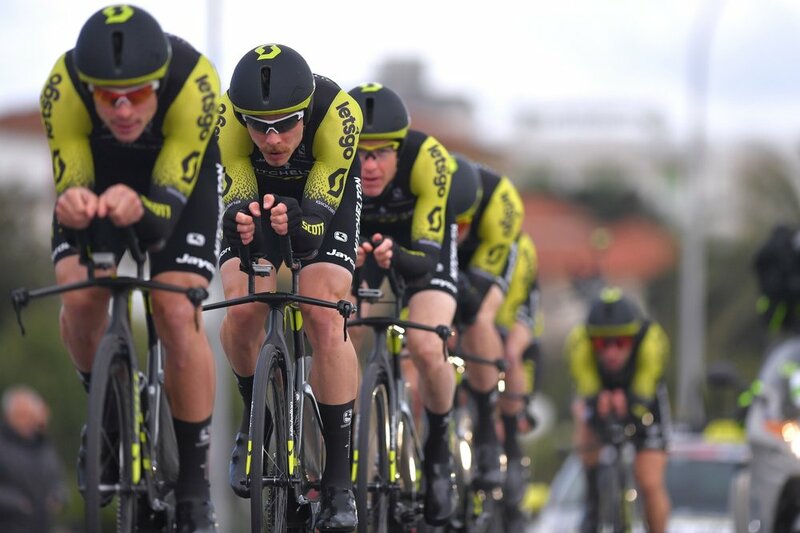 With a bunch sprint anticipated, most of us kept yesterday short and easy, but the risk that comes with that is the body shuts down after going full gas for nine days. From the start of today’s stage, it was clear that the sprinter’s teams weren’t going to take any chances and only allowed two riders to slip away. There was enough wind to keep everyone awake and a dicey downhill into the final climb and toward the end of the stage things heated up. 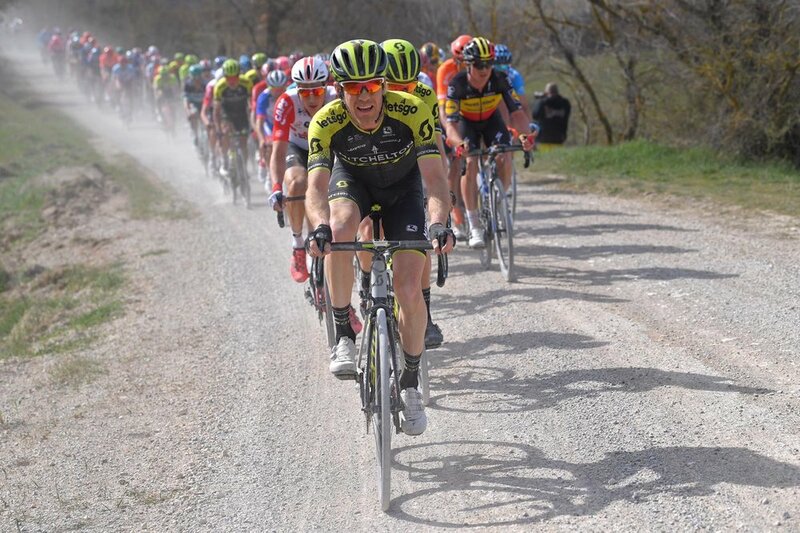 Despite not having a GC guy to protect or a sprinter to line it up for, I did my best to stay switched on and up front for this part, just to feel a little intensity of the race and stay focused. After the climb, it was back to big roads. I needed a rear wheel change due to a puncture, but otherwise, it was an unusually relaxed roll into the finish. 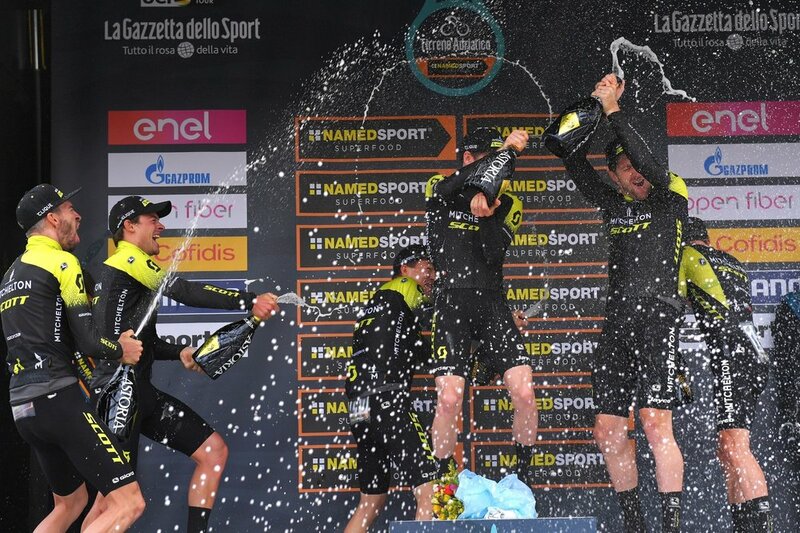 Maybe on TV today looked boring to the fans, but they’ll be some action tomorrow and the coming stages between now and the next rest day, so sit tight! Tomorrow is the longest stage of the race and looks to be demanding terrain--always up and down and twisty small roads. I think about 90 guys are thinking they will try for the break, so that will make for a tense start and unpredictable day. Monday was a welcomed rest day after a grueling first “week” here at La Vuelta. They call the block from the start to the rest day the ‘first week,’ but it’s actually nine days! So now in my mind, I tell myself that we are already approaching the halfway point. The rest days go by too quickly. 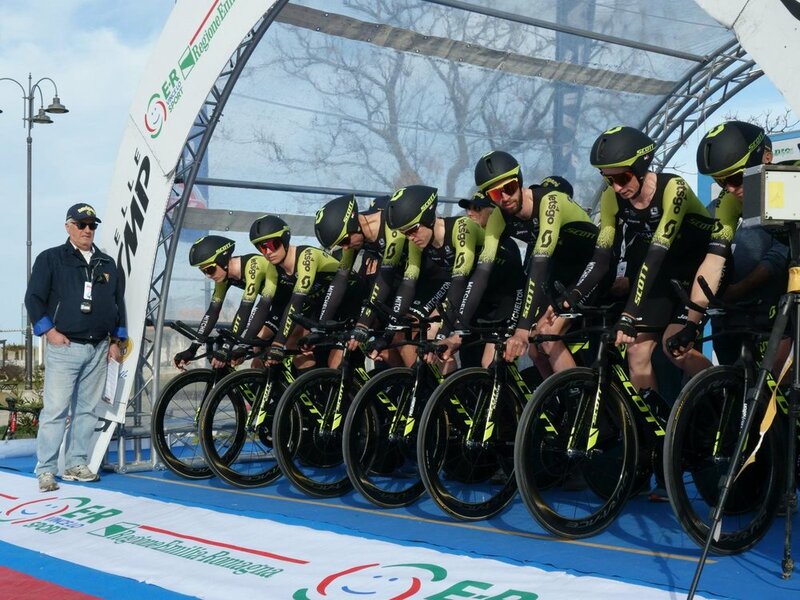 After Sunday’s six-hour stage and another hefty transfer, it meant we arrived at our rest day hotel late and were all slow getting moving in the morning. It was great not to have to zip up my suitcase, but I still had to hustle to make the 11 am training ride. We rolled up to Salamanca and soaked up some ambiance in the Placa Mejor Salamanca and googled some history on the place. I now know it is home to the oldest university in Spain, which is apparently where today’s stage starts. The afternoon was lunch, a nap, massage, physio check-up and a couple quick catch up phone calls and emails before dinner and then back to bed. These next six stages should take us into some moderated temps, but very demanding terrain with some STEEP climbs towards the end of the week. Fortunately, tomorrow looks the gentlest, so fingers crossed we can “ease” back in.